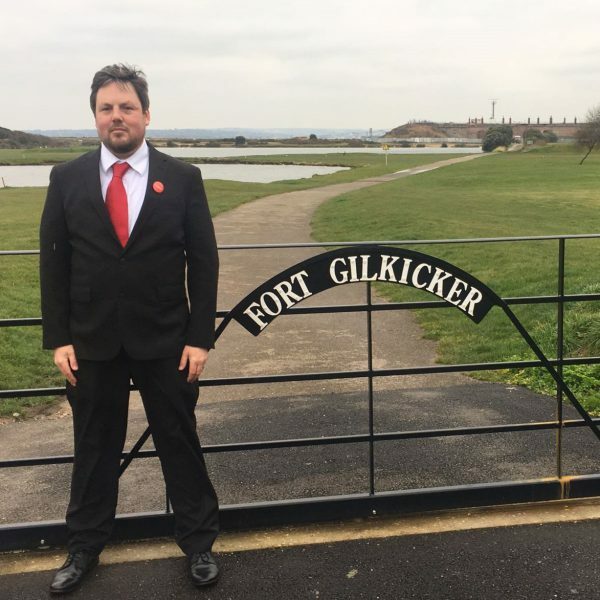 At the end of Summer 2017, we, along with many other Gosport residents and visitors to our area, were shocked to learn that public access around Fort Gilkicker had been blocked. The Fort, and a significant surrounding area, had been fenced off, blocking public access to paths used daily for a generation or more. The fort, which has been sold to a developer to be converted into luxury flats, stands on Gilkicker Point, an important habitat for wildlife and a local beauty spot. Commanding great views of Portsmouth and the Solent, Gilkicker is a favourite destination for families, dog-walkers and ramblers. It also includes Sites of Special Scientific Interest, a rare and important saline lagoon of inestimable worth. Gosport Labour Party members Chris Percival, Mark Smith, Alan Durrant and Councillor June Cully, among others, visited the area and spoke to visitors about our plan to apply for the paths surrounding and leading to the fort to be officially recognised as the Public Rights of Way that decades of use has made them. 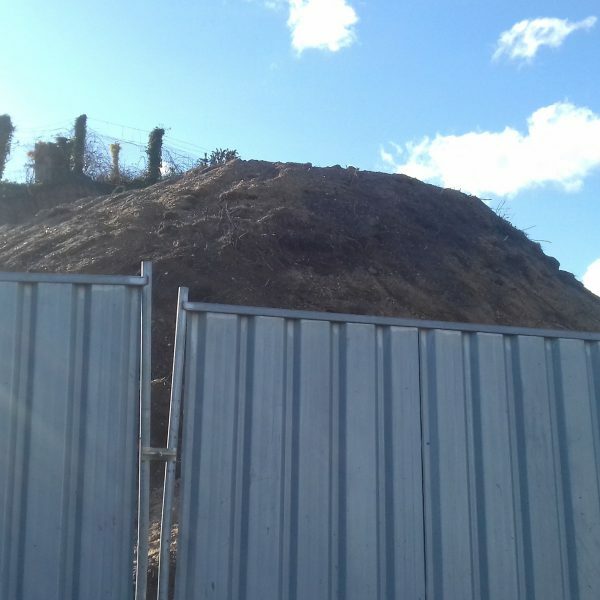 They organised a meeting of what became the Gilkicker Action Group, a non-affiliated residents’ group, and together we put pressure on Gospory Borough Council to hold a public meeting. Eventually, the council agreed. 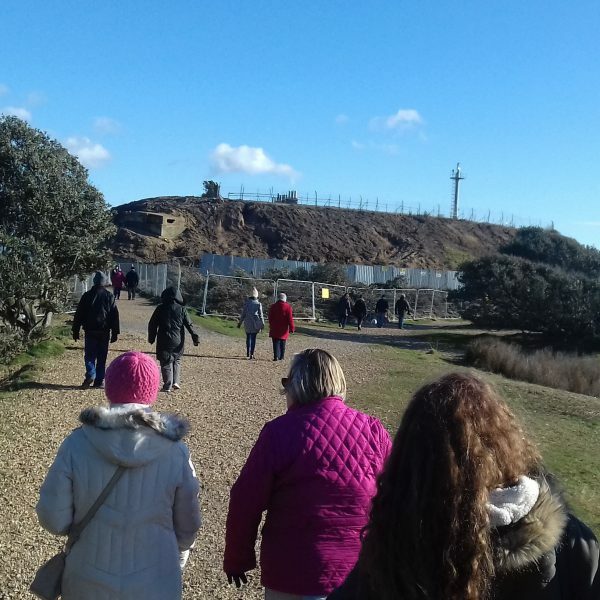 At the meeting, we again, along with residents from across Gosport, put pressure on Gosport Borough Council to dedicate the paths as Public Rights of Way. They refused. But days later they saw sense and conceded to the public pressure. There are still unanswered questions about access, about the environment around Gilkicker, and about the process that led to the agreements around the sale of the fort. Gosport Labour Party is actively seeking answers to these questions, and is pleased to see the continued dedication of residents across the town to this important local issue.